Quotation forms are an important part of best business practices. In order for a business to run smoothly and efficiently, any transactions that are made must be recorded. A quotation template is used to provide proper documentation, details, and contact information of the transaction. To expedite the process in a professional manner, quotation templates are utilized. 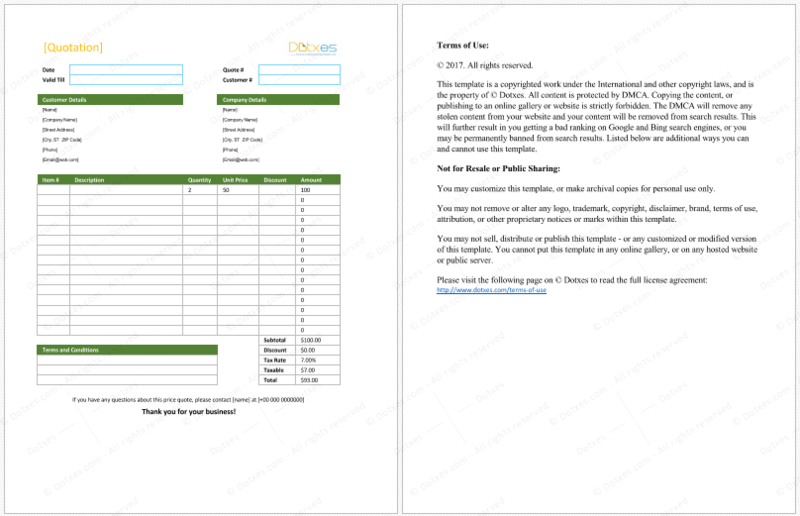 Quotation templates are easy to customize forms which allow a business to record any items they deem necessary during a transaction, such as the product or service description, the price, payment terms, and any other pertinent information. There are many advantages using quotation templates. 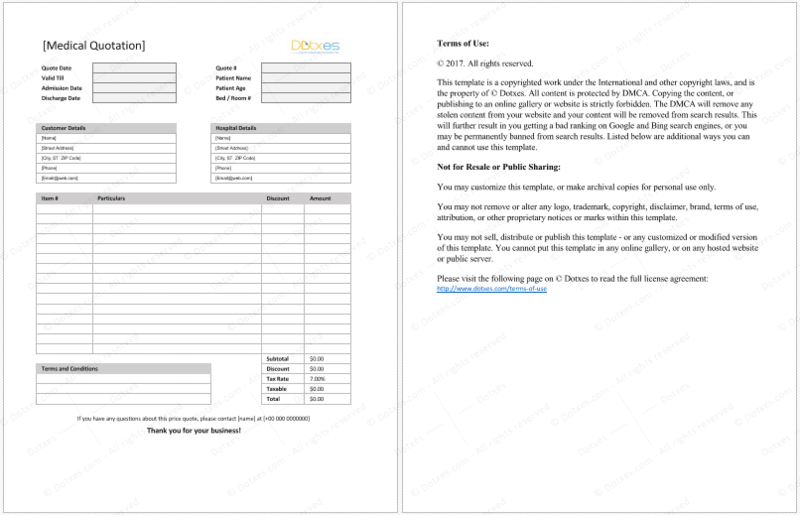 A purchaser can use these quotation forms to collate data as they shop different businesses for the best possible price, keeping tabs on prices, discounts and availability in order to make their final decision. Vendors also benefit from using these quotation forms as they perform the valuable function of keeping track of transaction details, customer contact information, accounting and payroll, as well as any possible legalities from a transaction. 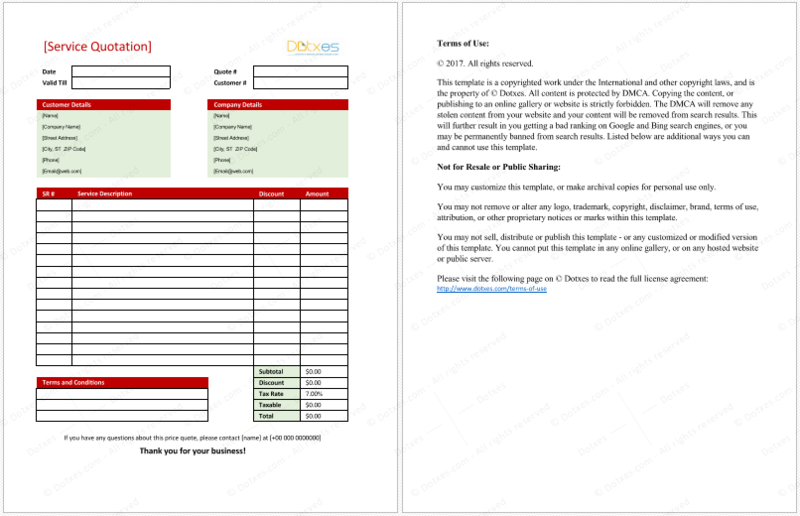 All of our quotation templates are free to download, and will provide you with a method to not only create accurate records, but also be used to communicate the cost, description, contact information, important dates, and discounts to a potential customer. All of our quotation templates are professionally designed, and are compatible with Microsoft Word and Microsoft Excel. The product quotation template is often used to initiate sales. The product quotation form is a form that records any product or service offered by a business, along with details such as cost and description. All of the information is placed in an easy to read layout, which will include a price estimation for a project, product number, quantity, payment terms, contact information. These product quotation templates are compatible and easy to customize with Microsoft® Excel. 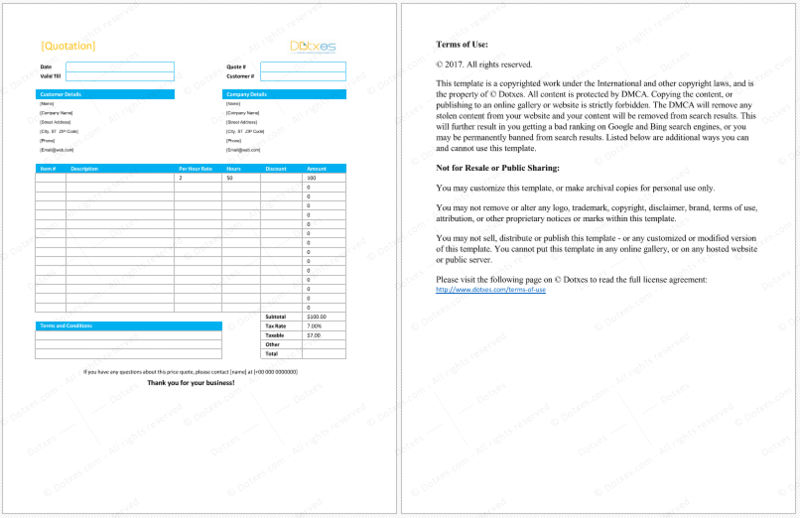 Simply download the template, insert your information and print or save to file. For businesses that offer products or services that can vary in price, they use sales quotation forms. These variances in cost can be due to supplies and materials, as well as labor costs. The sales quotation form will communicate to the customer an estimate. Sales quotation templates are used for this task, and will include fields for customer contact information, details on the product or service, any shipping fees, payment terms, etc. Our sales quotation templates are designed to create a professional form that will reflect well on your company, convey the information you need to make that sale. 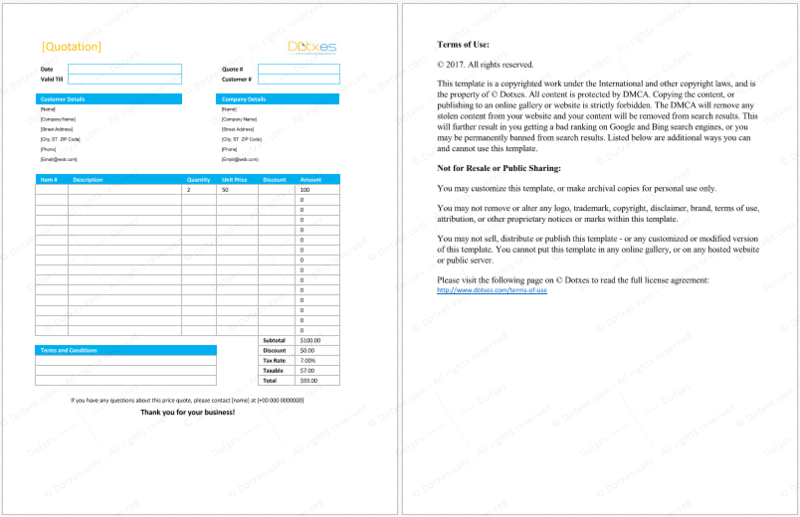 Car quotation forms are used in vehicle transactions. This form provides a detailed list of all the costs involved in the purchase of a vehicle. The car dealer will present you with a car quotation form, which will detail the price of the vehicle, features, contact information and name of the salesperson. Taking this sales quotation form, the buyer can now visit other dealerships to do some comparison shopping to get the best deals for themselves. Compatible with Microsoft® Excel, our vehicle quote template is easy to use and customize, simply download, edit and print. In our automated world, one full of machinery and vehicles, routine checks and maintenance are necessary. Whether it’s a lathe or taxi cab, maintenance records are needed to keep track of any issues, parts, labor and supplies used. Depending on the type of machine or vehicle in question, this can become quite complex. In order to streamline the process, maintenance quotation templates are used. These templates make the task of keeping track of routine maintenance checks and issues a simple one. Our maintenance quotation template is professionally designed and is compatible with both Microsoft® Excel. Hotel quotation forms can assist greatly in making sure that those who frequently travel stay within their budget constraints. By using these hotel quotation forms, its quite an easy task to simply go online or call various hotels, motel or hostels for price quotes, fees, length of stay, along with any discounts. Hotel quotation templates are a fantastic way for the busy traveler to collect the data they need for comparison shopping. We become dependent on our home/office computers. They are useful in storing data, performing tasks, as well as simply enjoying surfing the net or playing games. When a computer is in need of repair, computer service quotation forms can be of great help, as they can be used by both customer and repair person. The customer can collect quotes from various services while the business can use these forms to prepare the quotes. Computer service quotation templates are a way to create these forms quickly and efficiently. 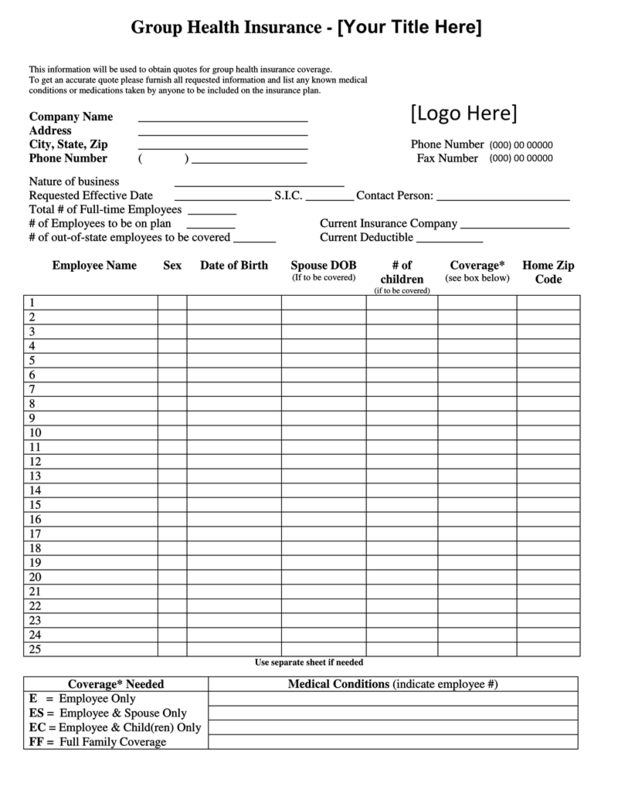 Medical quotation forms are used when a business, group or organization is looking for a facility to partner with. By evaluating different clinics, hospitals and medical centers, they can decide which business would be most beneficial. medical quotation forms contain fields such as contact information, payment terms, insurance and any fees involved. Our medical quotation template is designed with your task in mind, and are available for free download and customizable with Microsoft® Excel. 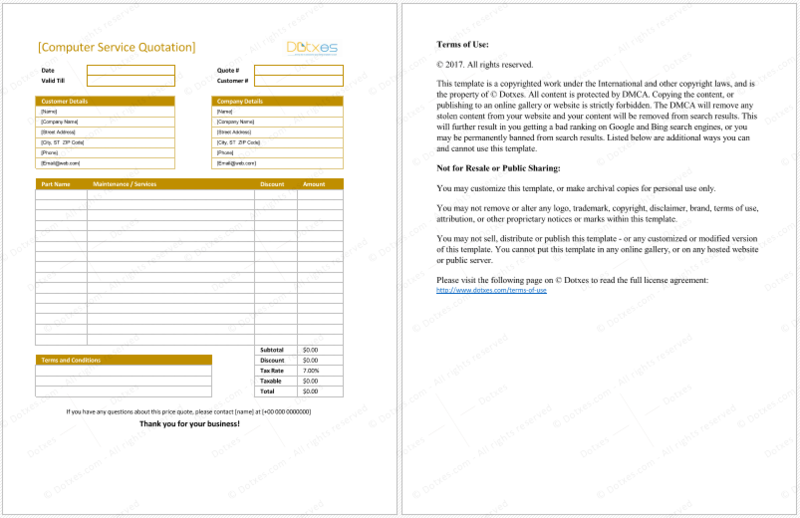 General quotation forms are a way for businesses to seek out new clients. They allow the business to offer quotes on products and/or services to prospective clients. This allows the prospective client to gather as many quotes as they can, and decide which business would give them the better deal. In order to create these forms, general quotation templates are used. These templates make it easy to list details and other pertinent information. Both vendors and buyers can use service quotation forms. These forms are used by businesses as a way to outline what it is they have to offer, along with total costs, payment terms, important dates, fees and discounts. Buyers use these forms to secure the best deal. 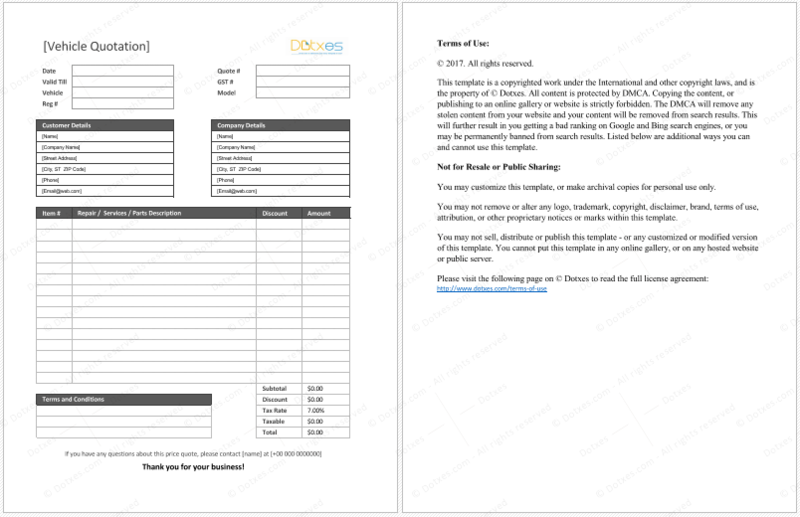 Our service quotation templates are a great way to create your own service quotation forms. 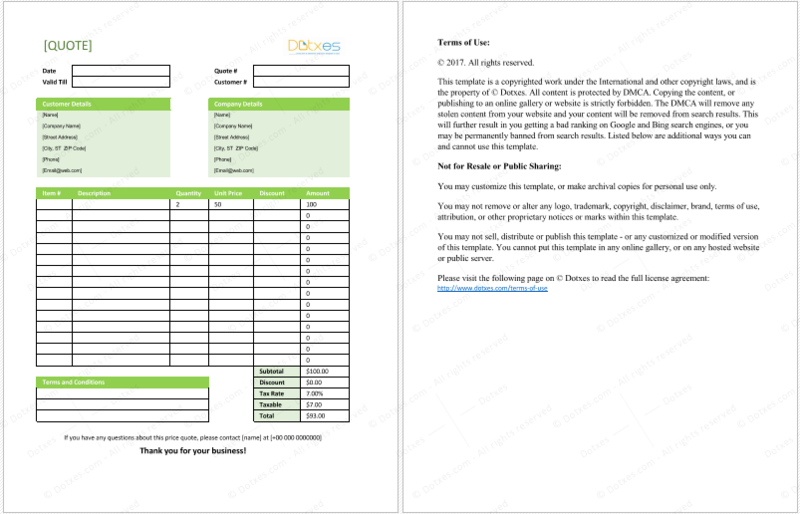 Simply download the template and using Microsoft® Excel, edit it and save it or print it out. This service quotation template will ensure that your transactions will be smooth ones. Price quotation forms help a business to convey the total cost they will charge a prospective customer. Utilizing this form, a customer can make an educated decision regarding which business to choose to work with by receiving the price quotes. Price quotation forms are also used by businesses as a form of advertising. For example, a local pizza shop can use them to make flyers to hand out to individuals and place in mailboxes, to advertise their products. We offer professionally designed price quotation templates for your personal use. Not all businesses charge a flat rate for their products or services. Some businesses charge on an hourly basis, and when this happens the will use Hourly price quotation forms. These forms contain contact information, the type of service and its hourly cost, terms and any discounts. Hourly price quotation template is designed to help make this an easy task, as you simply download the template, fill in the necessary data, and print it or save it to file. Our hourly price quotation template is compatible with Microsoft® Excel, easy to customize and guaranteed to make your transaction effortless. 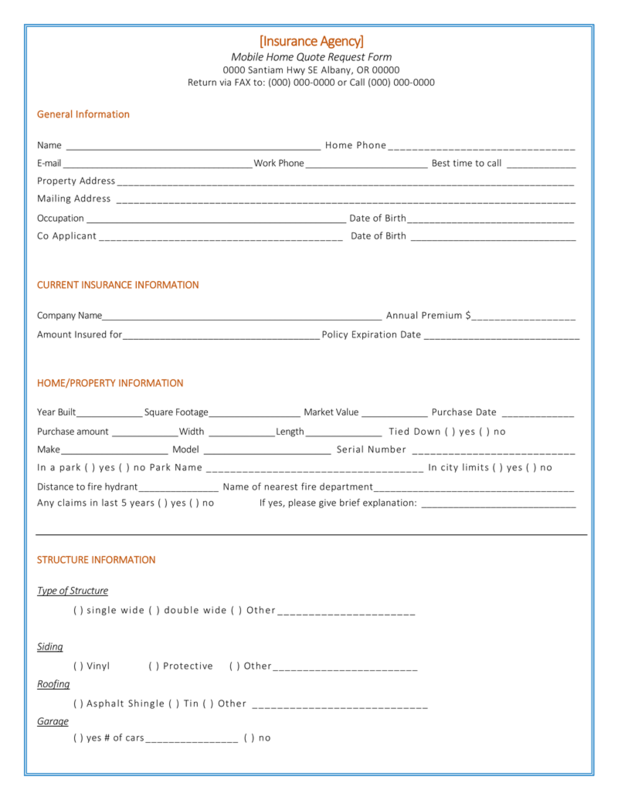 Insurance Quotation forms offer an easy method to keep track of the various features offered by different insurance companies. Insurance is such a complex topic that just the mention of it can put people off. As a result, insurance quotation templates can help to make the process a little easier. These insurance quotation templates will have customizable fields for premium price estimations, as well as payment terms, and insurance agent contact information, and can be used for any type of insurance. When people are in need of information about a stock, they use stock quotation forms. These forms contain information such as prices, and volume traded. When people want information on a specific stock they look up the information on the internet. Stock quotes are necessary for individuals who trade stocks. 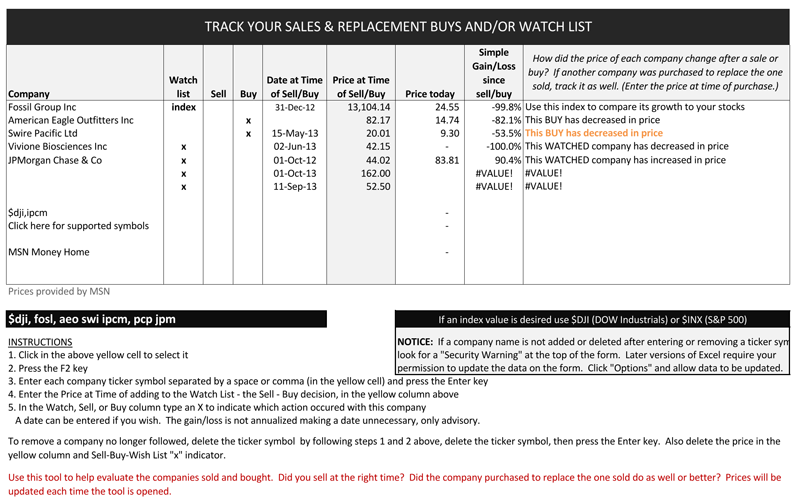 Stock quotation form is a convenient and easy method to keep track of stock quotes. This quotation sample work with both Microsoft® Excel, and is easy to use and customize. Using our free to download quotation templates are a cost-effective addition to any business. There is no need to purchase and learn expensive template creation software, or struggle trying to create your own using a graphic design program, simply download, edit and print.